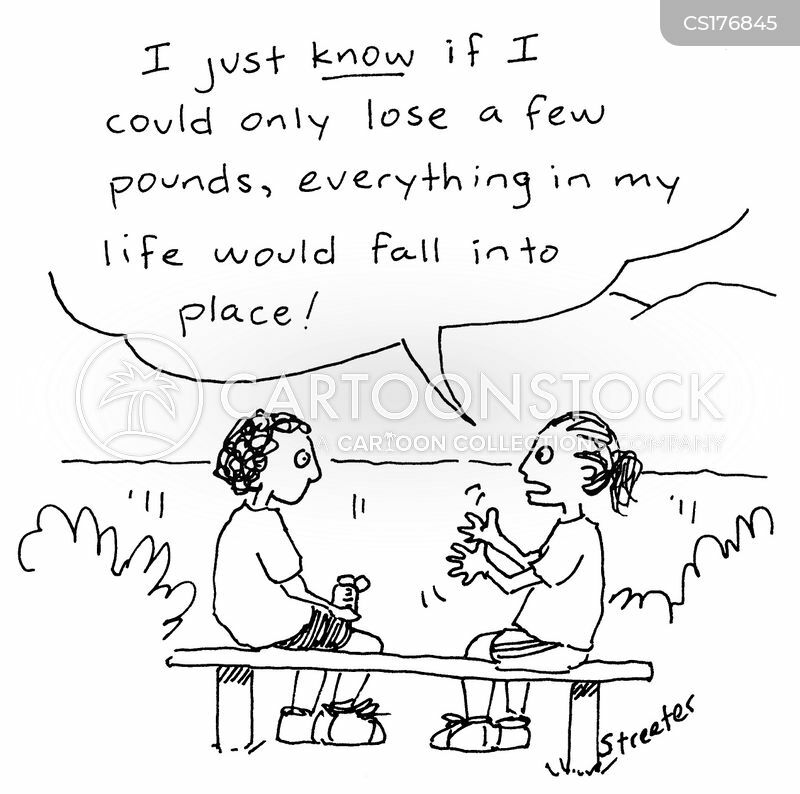 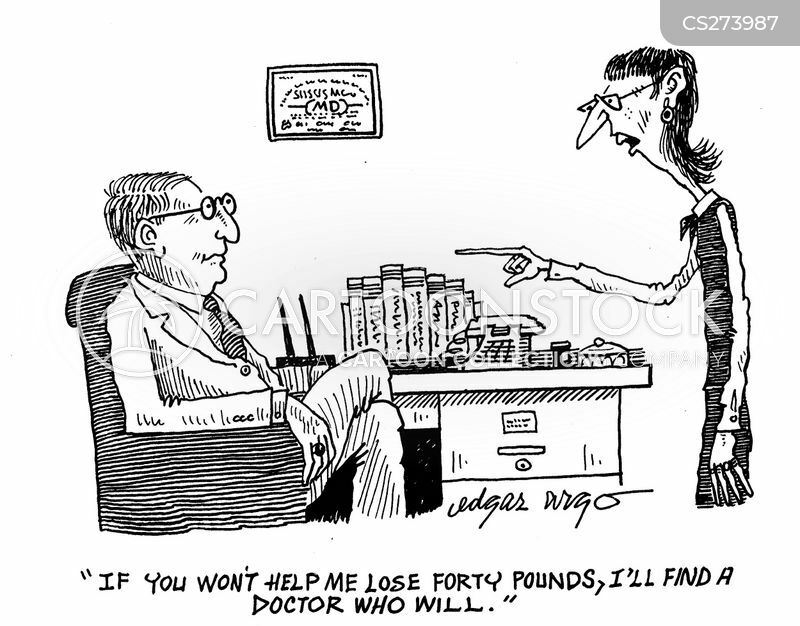 "I just know if I could only lose a few pounds, everything in my life would fall into place!" 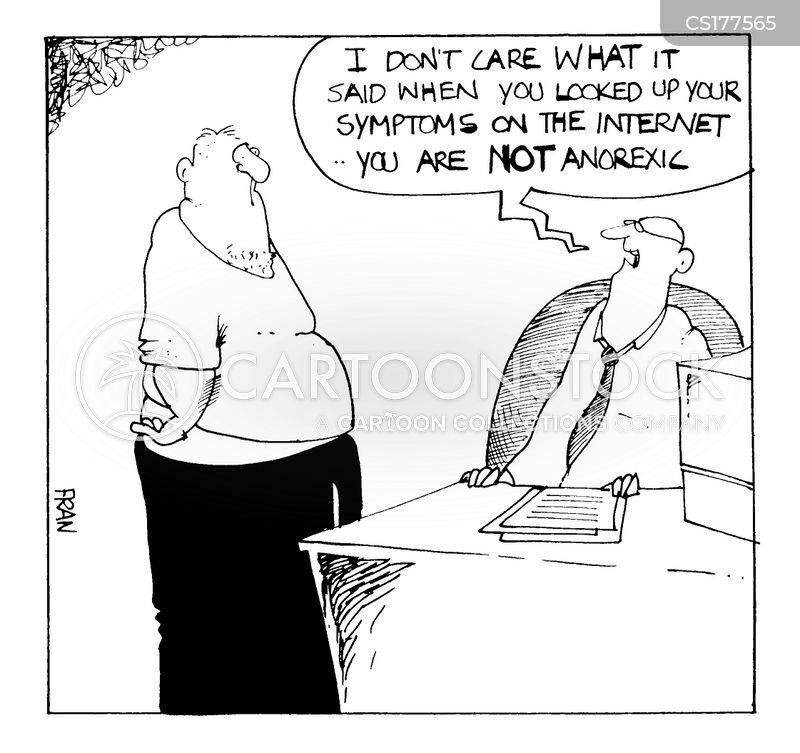 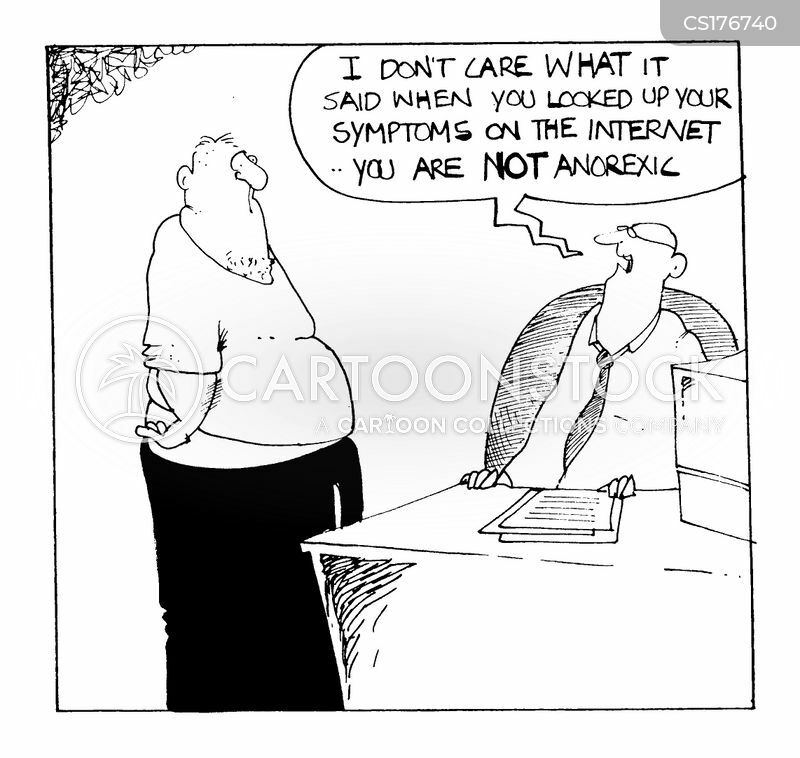 "I don't care what it said on the internet, you are not anorexic"
"I don't care what it said when you looked up your symptoms on the internet. 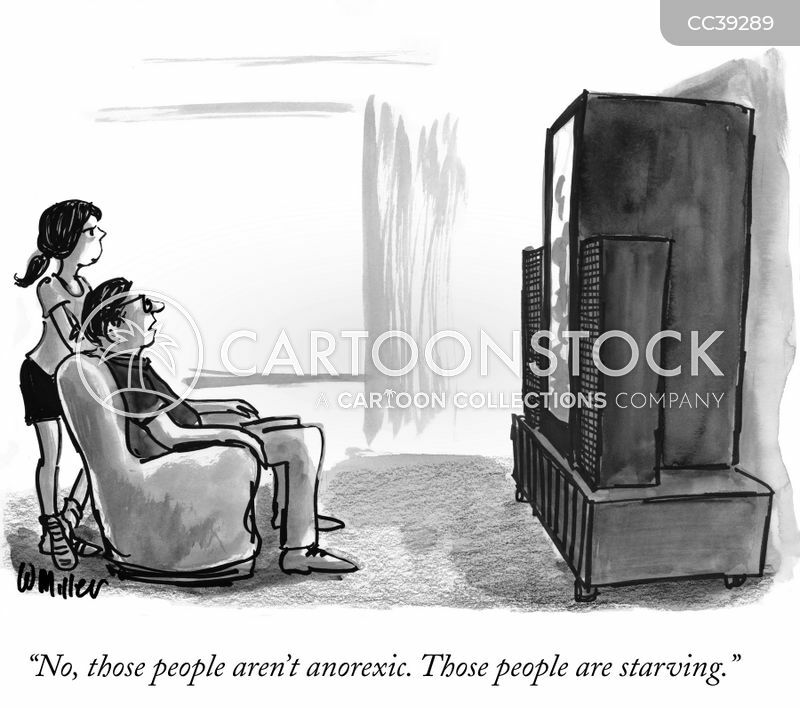 You arenot Anorexic." 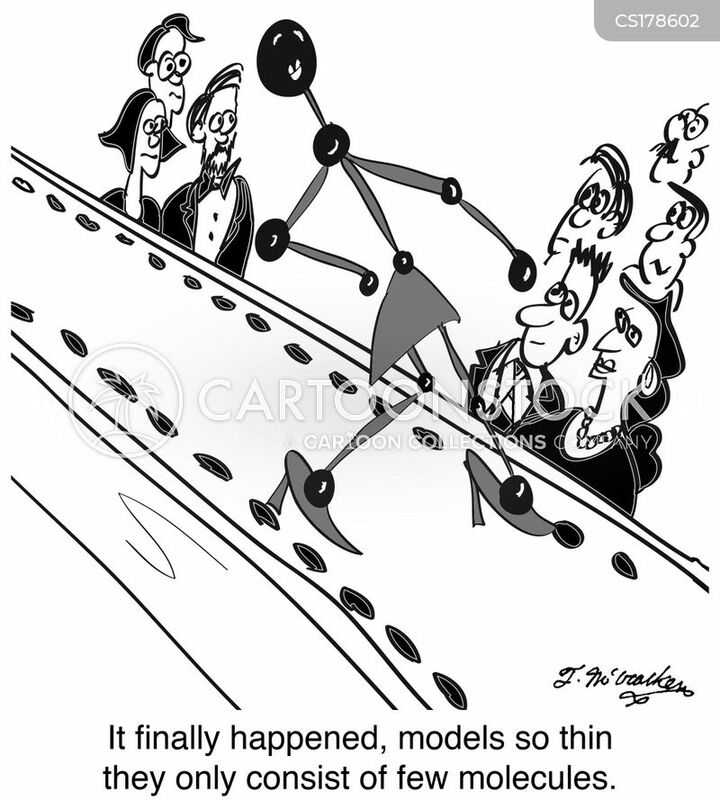 It finally happened, models so thin they only consist of few molecules. 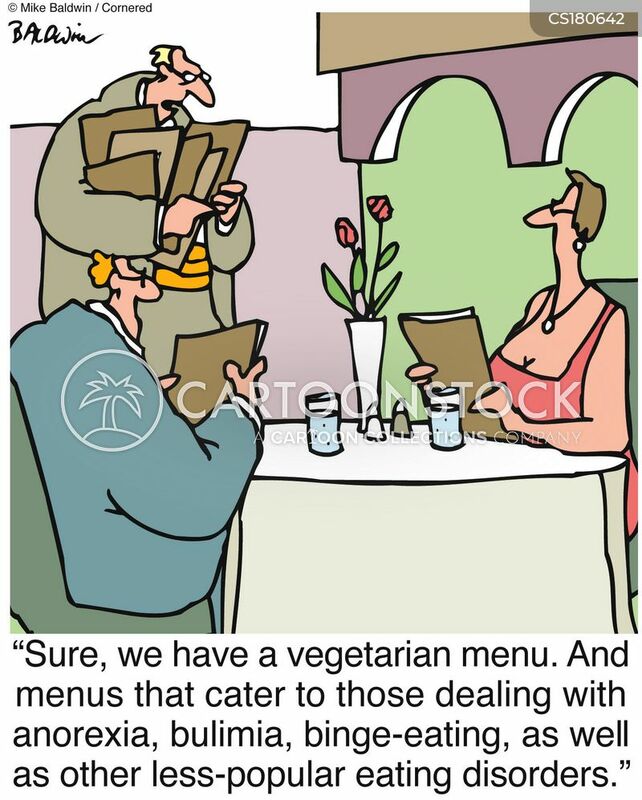 "Sure, we have a vegetarian menu. 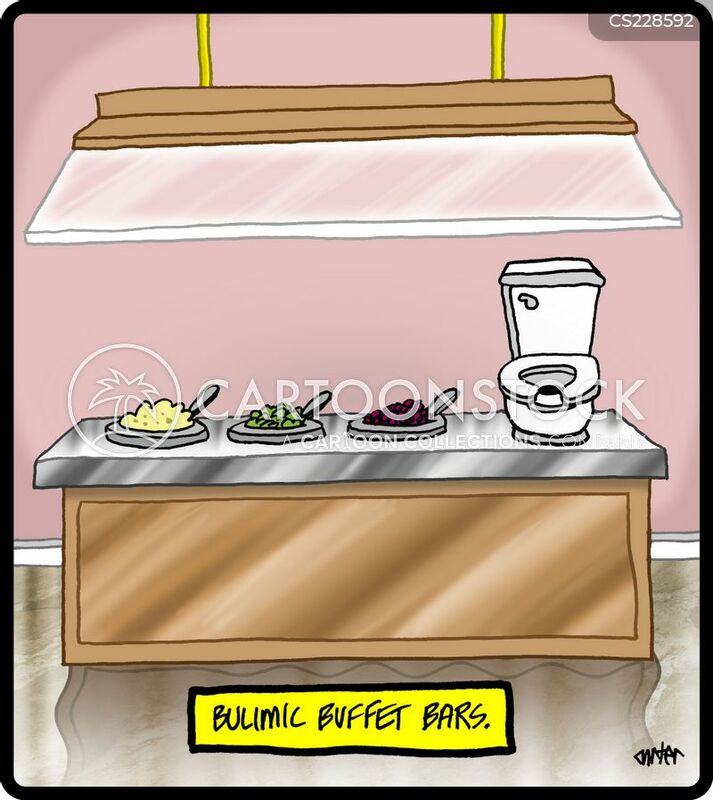 And menus that cater to those dealing with anorexia, bulimia, binge-eating, as well as other less-popular eating disorders." 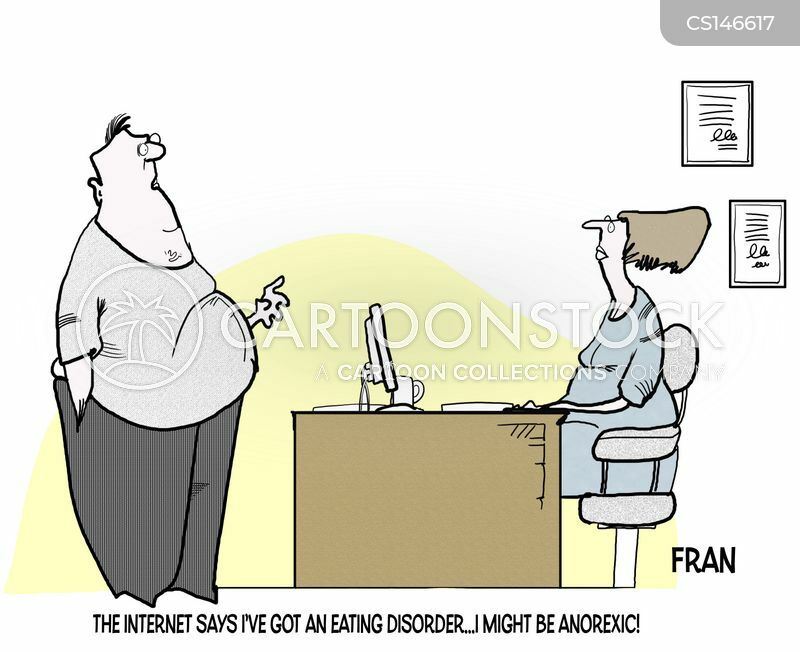 "The internet says I have an eating disorder, I might be anorexic!" 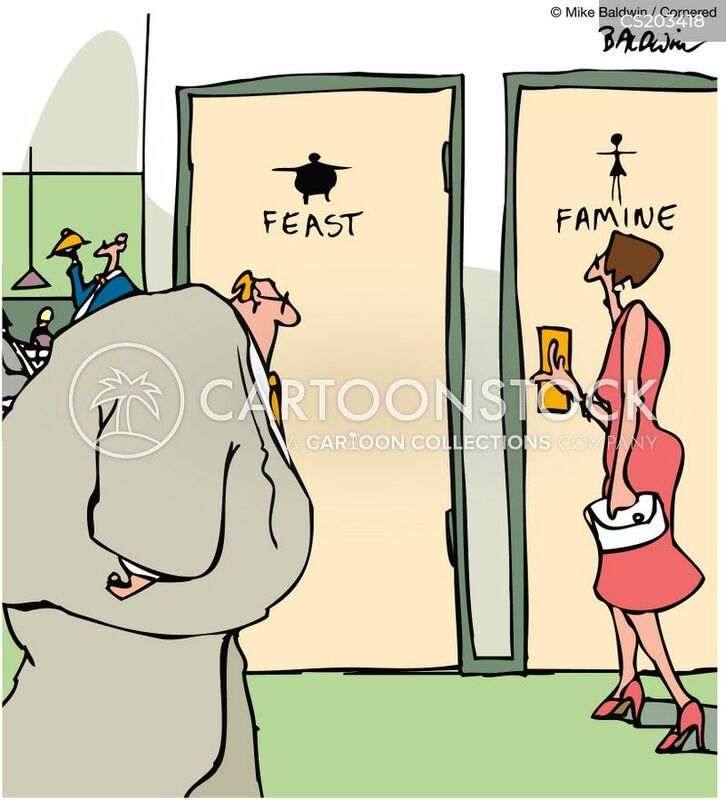 Feast / Famine (sign on male/female toilet doors). 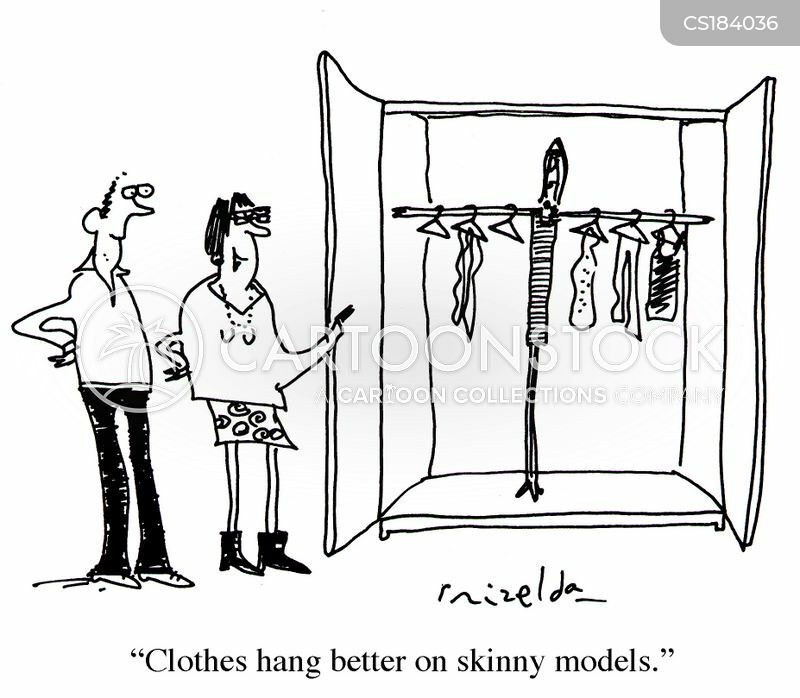 "If she was a little skinnier she would make a great super-model." 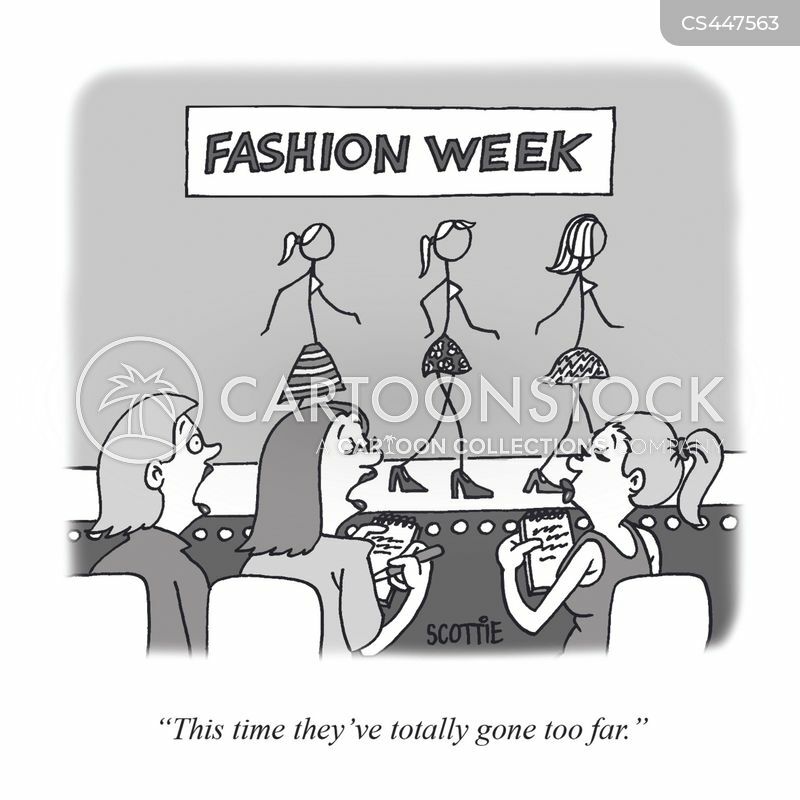 "This time they've totally gone too far." 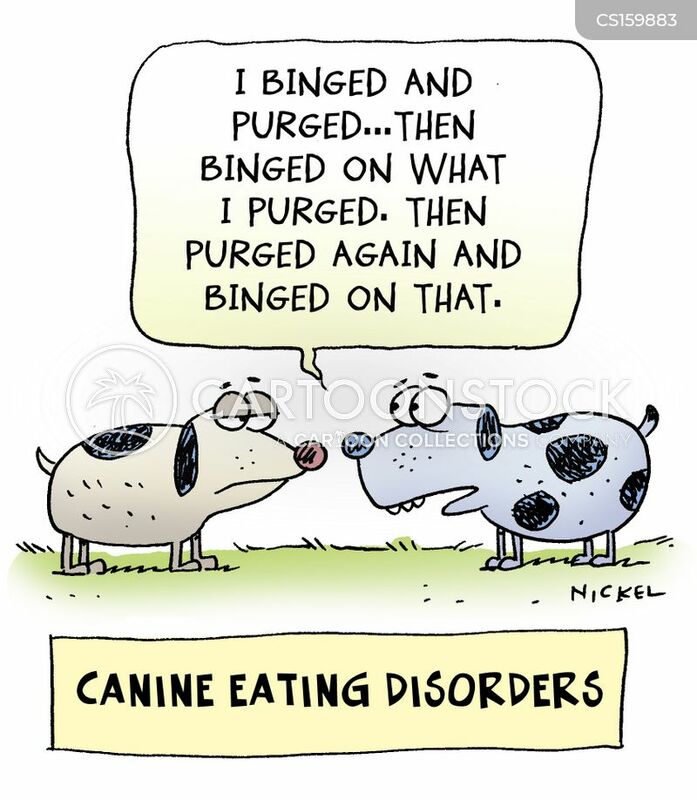 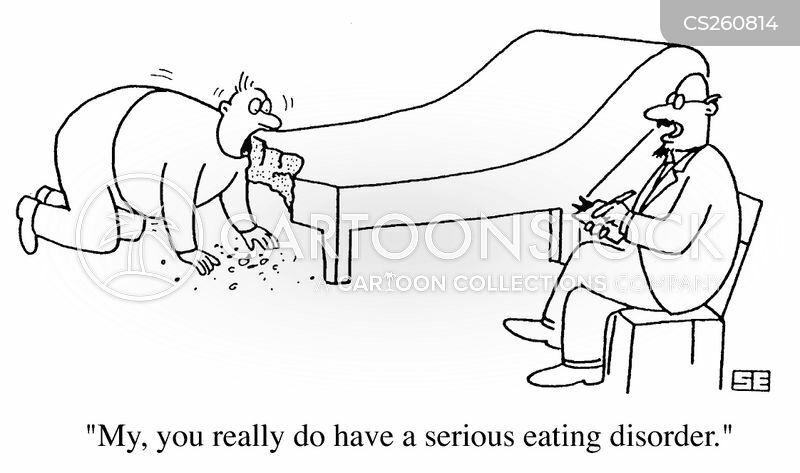 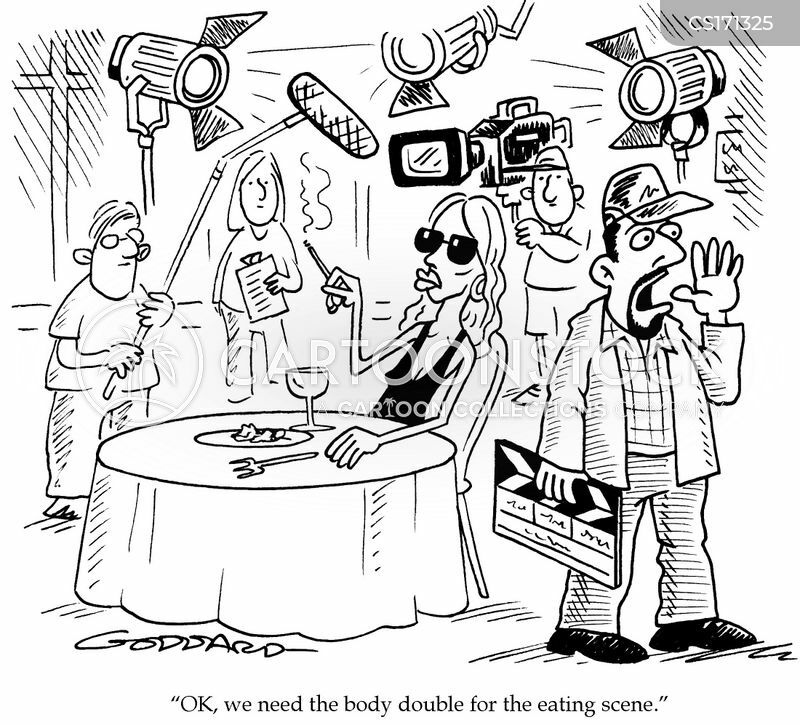 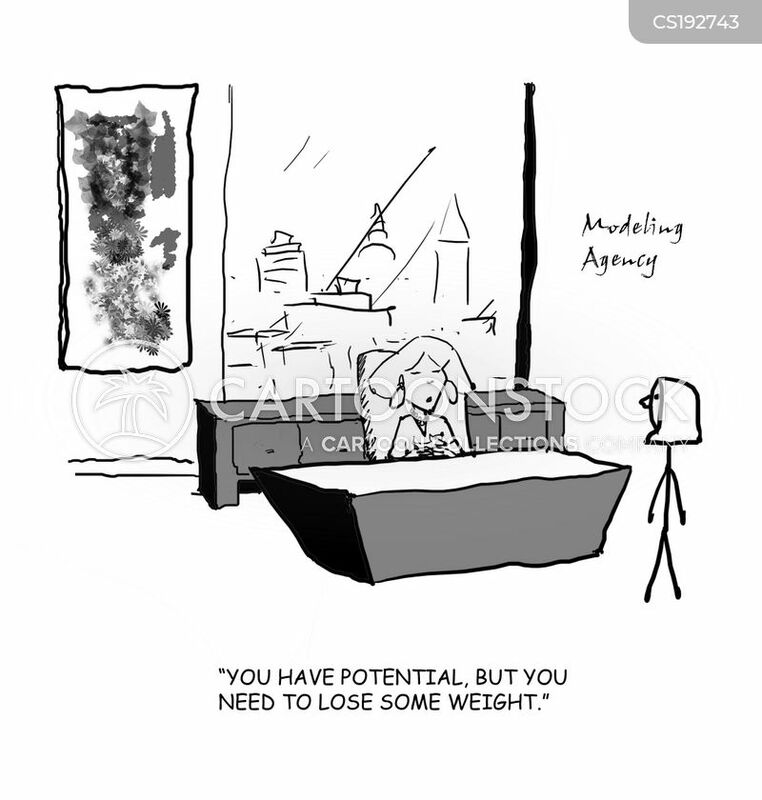 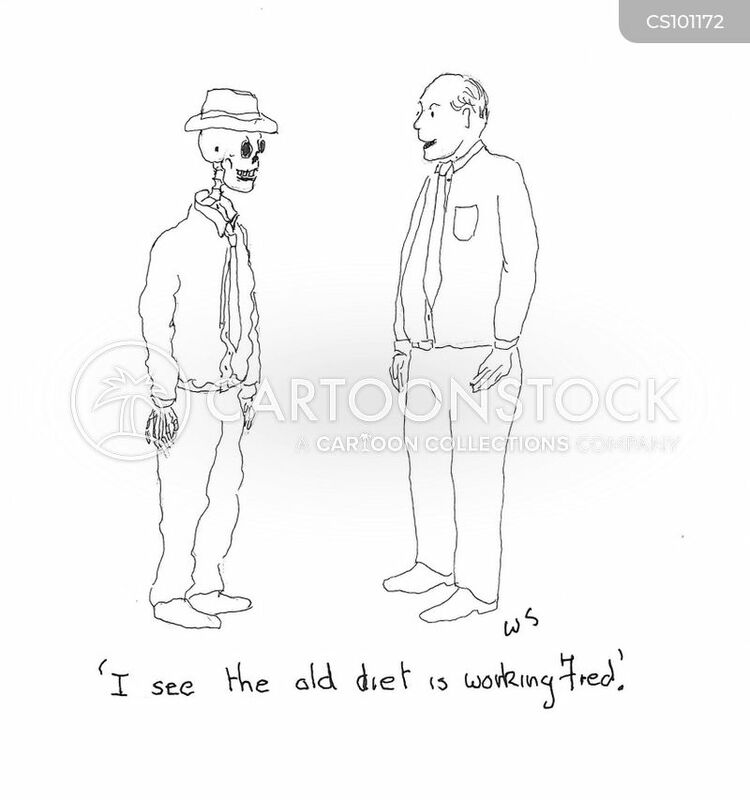 "Hmm.. You really do have a very serious eating disorder." 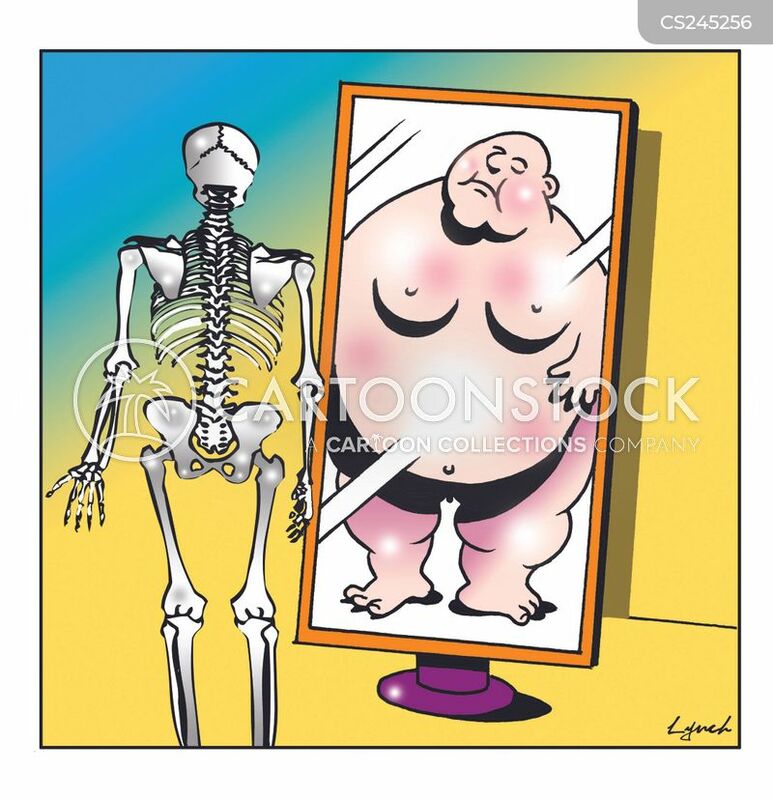 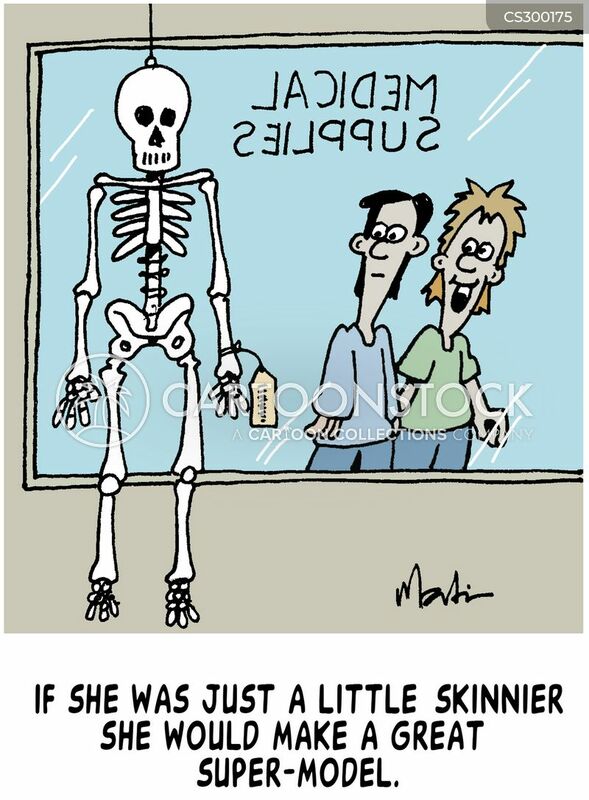 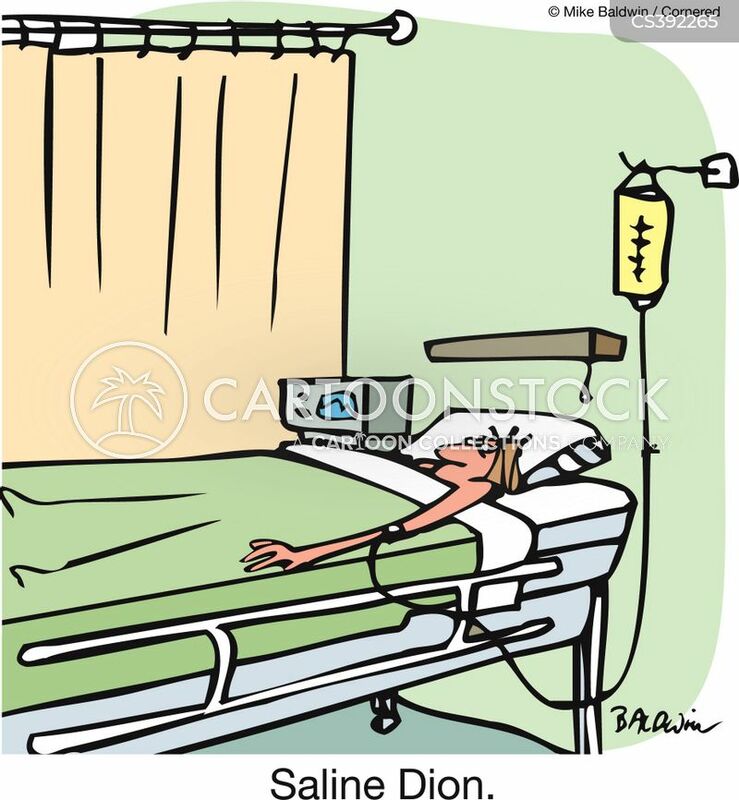 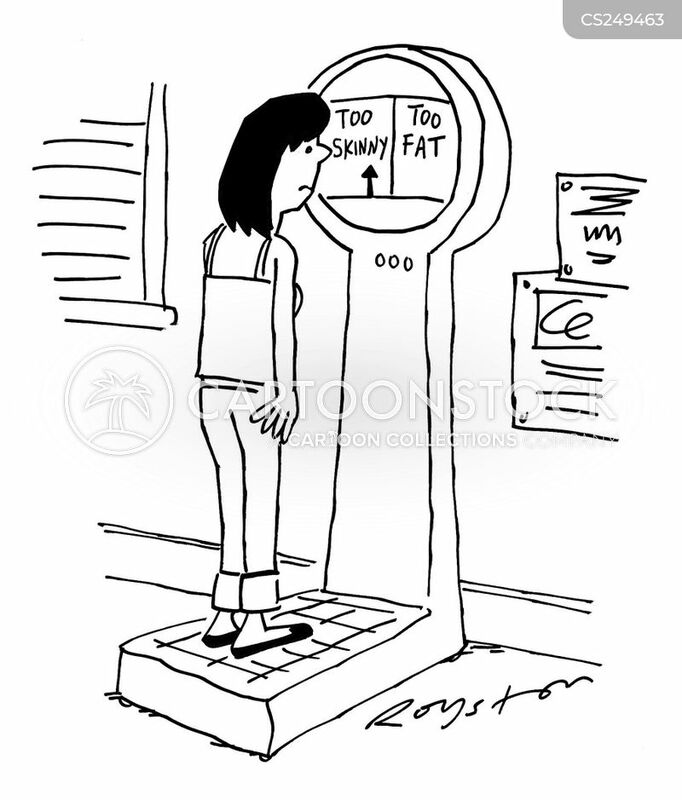 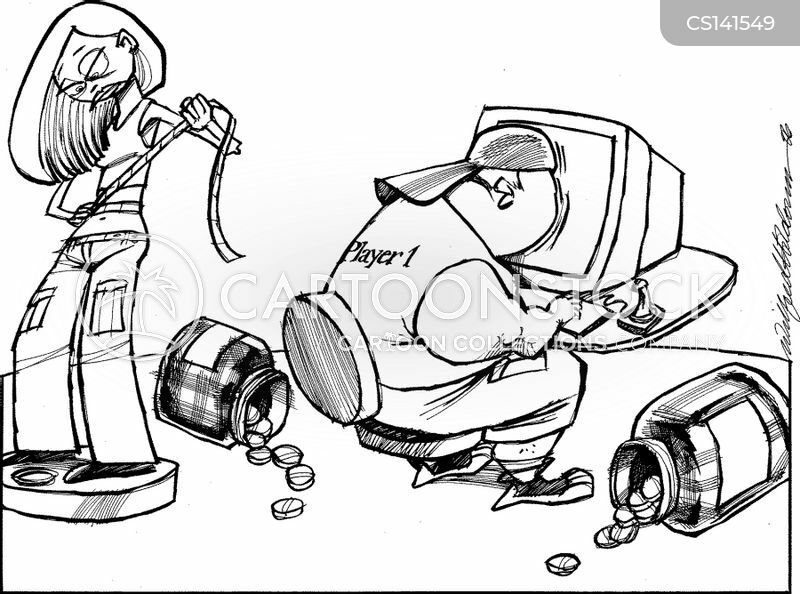 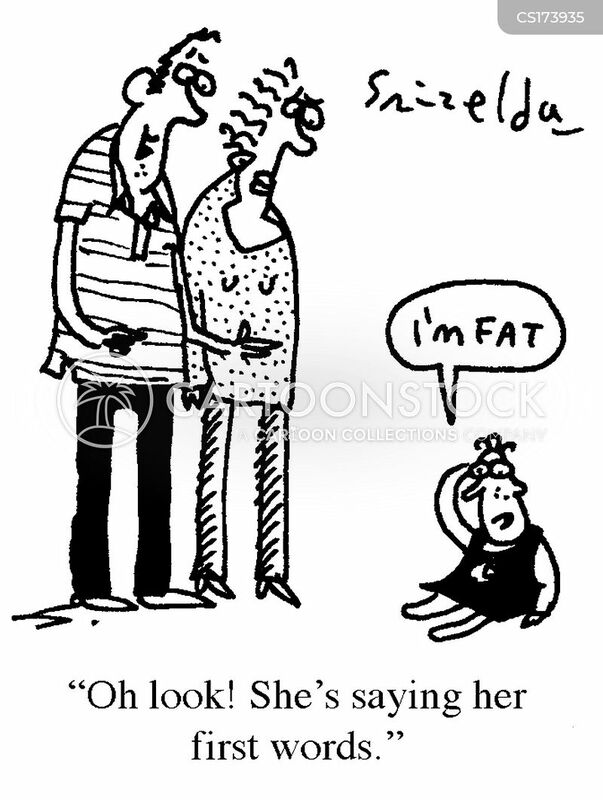 Woman stands on scales which have two categories: Too Skinny / Too Fat. 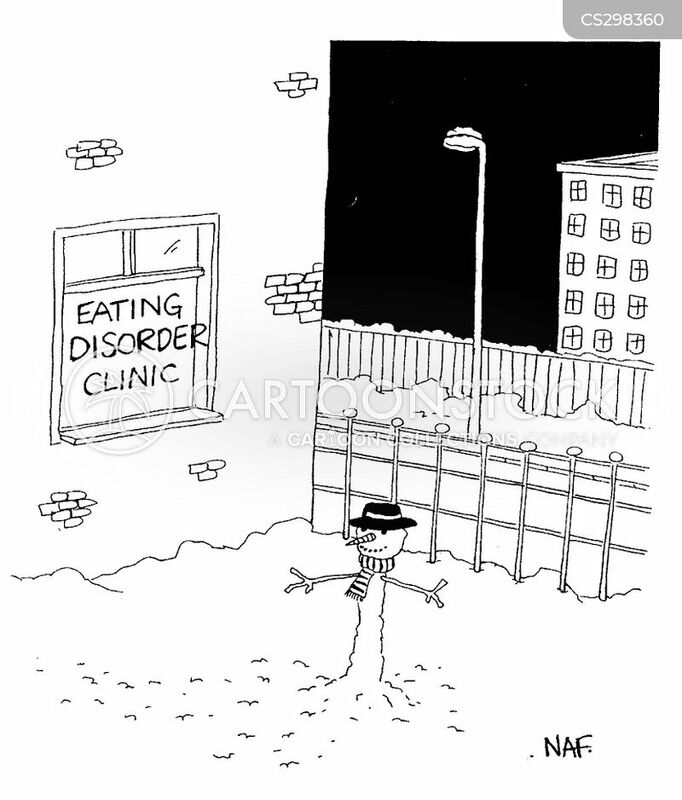 Eating disorder clinic with a skinny snowman.